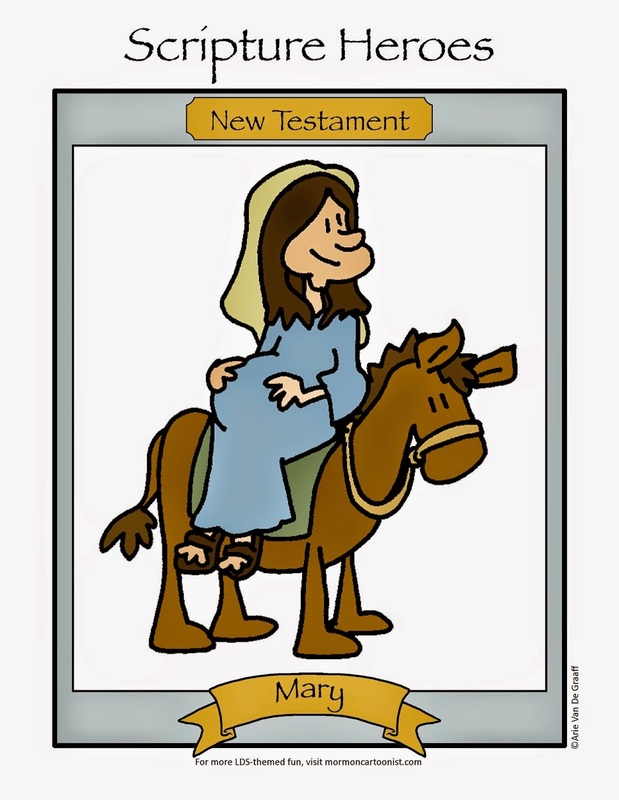 What makes this gag which has appeared in both the New Era and is included in my book Mormon Life (perfect for a Christmas gift) so much funnier than the one below? And there's got to be more to it than the idea for the Sisters' gag came from my charming and talented sister-in-law Lindsay Lattin. 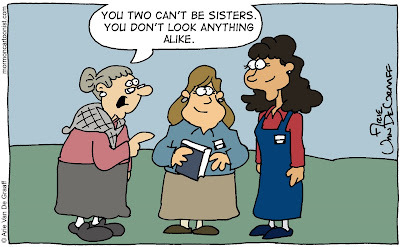 I've been really contemplating this one and it's probably because the sister one happens often to sister missionaries. 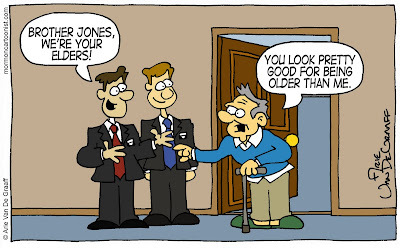 I doubt that very many elders have experienced the latter joke themselves. They are both funny though. The old guy shoulda said: "Thank goodness. When I hit a hundred I thought I was the oldest guy in the home. And where did I put my glasses?" Eric, I like your caption so much better than my own. I'm tempted to use it and then resubmit the gag to the New Era.